​The West Torrens Lacrosse Club was one of the founding clubs in the South Australian Lacrosse Association and we have a long and proud tradition of excellence. 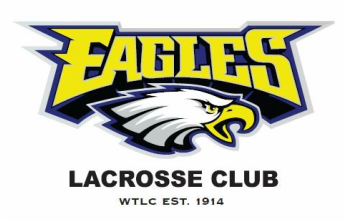 Established in 1914, and now known as the Eagles Lacrosse Club, we offer a welcoming family friendly environment that provides every player the opportunity to develop to their full potential. We also offer opportunities for people to get involved off the field in roles such as coaching, umpiring, team management and club officiating roles. The Eagles Lacrosse Club has teams which cater for boys and girls, men and women from the ages of 5-50 and new players are always welcome. We cater for players of all abilities and we have a non discrimination policy which means that all players will get a fair go. Our club actively promotes fair play and is accredited according to the Play by the Rules program. We also have a strong approach to social inclusion and deliberately keep playing fees low to encourage wide participation. Lacrosse is played in nearly 40 countries around the world and is the fastest growing sport in North America. In Australia, Lacrosse is played nationally and in SA there are 11 clubs. The representative body is Lacrosse SA and our season runs from April to September. Junior matches are played on Saturday mornings whilst seniors play on Saturday afternoons. Girls and women's lacrosse is a non contact sport as is juniors boys up until the age of 12. Lacrosse is a fast paced, skillful sport which combines speed, agility, teamwork and strategy. Above all it is great fun! today! It is regularly updated with the latest club news, results as well as other information about social event and exciting news. We are proud to announce that the Eagles Lacrosse Club is the only club in South Australia who can host night games under lights. It's a great spectacle, so keep your eyes out for the next game and come along for a look! We are fortunate to have a great group of sponsors again this year, so check out our sponsors page for details.